If you are a serious photographer then there’s also a fair chance you are a user of Adobe Photoshop too. If you are then you maybe in for a shock, as on the 6th May 2013 Adobe announced that they no longer plan to sell retail versions of this software and all future editions will be available by cloud based subscriptions only. No longer will you be buy a boxed edition of Adobe Photoshop together with a DVD from your software retailer, and you will not be able to update your existing versions without a subscription. In fact, this model is to affect all the software within Adobe’s Creative Suite (CS), so includes Premier, Indesign, Illustrator, Dreamweaver and Premier Pro. 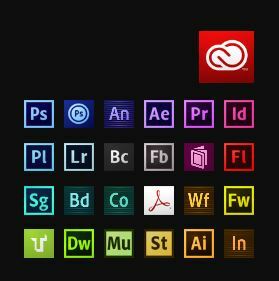 New versions of these applications will only be released in what Adobe now calls the Creative Cloud (CC) on 17 June 2013, with each application now being re-badge CC, rather than CS. Pricing levels for a subscription for Photoshop CC vary depending whether opt for a month-to-month or yearly subscription. Current owners of CS3 or above can subscribe to Photoshop CC at a offer price of £8.78 per month, but this requires a years commitment; after one year it’s expected this price will double. If you don’t wish to commit to a yearly plan, then a month-by-month subscription for any CC application can be purchased at £17.58, and you don’t have to own a previous version of Photoshop to qualify. However, there do appear to be restrictions on this model, so you can’t just choose to rent it as and when you need it. There are other introductory offers for owners of CS3 and above which give you access to the complete CC suite, but they also require an annual commitment. For the grand sum of £46.88 per month and a years commitment (that’s a grand total of £562.56 ex. VAT) any new user can have access to all the Adobe Creative Cloud applications. The prices quoted above don’t include 20% UK VAT so you’ll have to factor that in when doing your calculations. At £10.50 (inc. VAT) per month, this offer may sound like quite a pretty good deal, but if you work on the assumption that upgrades are issued every 18-24 months, then you’re going to have paid out somewhere between £252 to £336 by the time the next version comes around. Compare that to the £180 to £200 for the Photoshop CS6 upgrade, then your subscription begins look like quite a considerable price hike. Photoshop is an expensive piece of software and Photoshop CS6 currently retails at well over £600 on Amazon, thus for most amateur photographers the cost of this program has already become prohibitive. Even the upgrades, which occur roughly on an 18-month cycle, are somewhat pricey and many existing users have chosen not to automatically upgrade, but opting to upgrade only alternate versions. Adobe however, wised up to this and the latest versions of Adobe Camera Raw (ACR) required to convert your RAW from a new camera will only work in the latest versions of Photoshop. You will have to decide if £10.50 per month is good value for you. If you own older versions like CS3 or CS4 and a regular Photoshop user, this may seem like a very good deal, but if have recently bought CS6 you’re probably going to feel somewhat peeved. Like it or hate it Adobe have got us photographers by the balls. The spiralling retail cost of Photoshop over the last decade has virtually guaranteed that it become one of the most bootlegged pieces of software in the world. Price-wise, it’s considerably more expensive than the major operating systems on offer, and I hesitate to think of any other widespread, commercially, available software that costs anywhere near as much. It is already viewed by many as being seriously over-priced. It is however, a tremendously complex and competent piece of software, but so are operating systems, hence my (rather flippant) comparison, and although a powerful market leader and undeniably Adobe’s flagship product, it has now become simply too expensive for all but serious professionals. If I’m brutally honest I don’t really know that many people who actually own a genuine non-pirate version. So why only allow cloud versions? Well, no mater reasons what Adobe state, I suspect wanting to reduce the amount of bootlegging is probably been pretty high on their list. Plus as you’ll see by the video below, they hope to utilise the cloud base to eventually provide ability to link and use applications on your mobile devices too, but that’s for later. I have little doubt however, the principal reason is just plain commercialism, and no matter what offers they have conjured up now to entice new and existing users to subscribe, their ultimate goal will be to create greater revenue for Adobe. Period. Are there any Advantages of the Cloud? So are there any advantages to cloud based software for us? Well despite the name your software will not exist in cyberspace. It will reside, as normal, on your hard drive. It will just have to communicate with the mothership every 30 days to check that you have a valid license and you will now require a web connection to download and install your software. You can however, obtain a free subscription to the Adobe Creative Cloud, without any financial commitment, but that only comes with 2GB of free storage and access to 30 day trails of all the CC software. If you decide to take out a paid subscription to any of the CC software you get 20 GB of Cloud Storage for file sharing, and collaboration, and you also may get access to new software features as soon as they become available. So free web storage, that’s nothing new, so what’s all the fuss about then? Note the word collaboration above. The Adobe Creative Cloud is designed to allow multiple users to work on projects and share files. In other words this has many advantages for the power, corporate and business users, but perhaps not so much to offer the individual, amateur or part time user … yet! It does appear though, that Adobe hope to change all this, as this video interview with Adobe’s Tom Hogarty suggests. Since the development of Lightroom my use of Photoshop has dwindled considerably to the point that I only really only round trip to Photoshop for some complex task that Lightroom can’t (at the moment) handle. For me this would this is typically for stitching panoramas or some awkward object removal requiring use of the healing brush. I rarely do layer work and to be honest Lightroom provides around 95% or more of my current needs. To me Lightroom provides a far more intuitive and productive environment for photographers and ideally I’d like to eventually dispense with having to use Photoshop altogether. I do like Photoshop’s panorama stitching though, but to be honest there are other packages that will do this, and the new advanced healing brush in Lightroom 5 beta seems able to provide the cloning and healing tools I require. So just maybe the day I can dispense with Photoshop is actually approaching, and for more reason than one. Question: Will there be a different version of Lightroom called Lightroom CC? Answer: No. Question: Will there be features of Lightroom 5 that are exclusive to Creative Cloud members? Answer. No. ~ Tom Hogarty, Lightroom Journal, May 6, 2013. Lightroom is for photographers. And the Lightroom team is very aware of the reaction by photographers to Photoshop CC. We don’t have plans to make Lightroom a subscription-only option but we do envision added functionality for CC members using Lightroom ~ Bryan O’Neill Hughes, Adobe. Many have interpreted this remark to indicate that there will eventually be a two-tier Lightroom, the retail version and a CC version, although it is possibly he’s just referring to additional functionality provided within the cloud and not the application itself. It slightly worry however, and although were probably OK for a further 18-24 months with the forthcoming Lightroom 5, who’s to say they won’t make LR6 subscription only. I’m afraid I’m one of those people who hate renting things. I much prefer to own things if I can, especially if I’m going to use them long term. That’s not to say I haven’t rented before or even bought stuff on hire purchase agreements. But I don’t really like subscriptions. I can see some advantages to the Adobe Creative Cloud model, but I’m sure that if several months pass by and I haven’t used Photoshop, then I’m going to begrudge paying the monthly fee. I had, until recently, subscribed to Scott Kelby’s NAPP (National Association of Photoshop Professionals) website, which gave me access to a hole host of very good online-only video tutorials, but this year I let my subscription lapse because I felt I just wasn’t using it enough to feel I was getting my monies worth. Of course that’s the pitfall with the subscription model and I suspect many will feel the same. I’d personally much prefer to own a DVD or download a movie file of the tutorial, which I can watch at my leisure, where and when I choose and on what device. It’s funny, but if you have the choice to buy a product for $120, or rent it for a year at 10 bucks a month, you feel far more satisfied if you’ve bought it. What should Adobe Should have Done? Well I’m one for choice. For some the Adobe Creative Cloud may definitely be the way to go and just perfect for their workflow. What I can’t really understand though, is why piss-off a large percentage of your existing customer base, as it obviously has done if you’ve glanced at the rather negative feedback online so far. Give users a choice at least; don’t just cut them off with impunity, and force them to join or eventually loose out. I’m afraid this is really going to be seen as Adobe pushing it’s weight around and getting too big for it’s boots. So why have Adobe done this you may well ask … well, because they can. It always amazes me, how many corporate software companies that provide major applications, industry-standard software that we all use and love, suddenly change tack, and force you to change the way you have to done things, simply because they think it is best for you. The dreadful ribbon implementation to the Microsoft Office Suite comes to mind. It wasn’t needed, we didn’t ask for it, and many (such as me) hate it still. It wasn’t broke, and it didn’t need fixing. If you have some method new to add, don’t completely take away the old method, give your users a choice! Take Windows 8 as another example; a reaction to Apple and the proliferation of pad devices, produced in desperation to play catch-up, and unwittingly ignoring and alienating it’s existing user base. And then on to Apple, with whom it’s the Apple way or nothing else I’m afraid. I used to love the album flow in iTunes; now where did that one go ? It seems the bigger the company gets the more dictatorial and arrogant they appear to be, which is very unfortunately. Adobe’s move to a subscription-only model may harken a major shift in the way software is marketed in the future, which is not something I feel particular comfortable with. Other developers may follow suite but only time will tell. I for one hope that the consumer is always given a choice. As for piracy prevention? Well since you still download the software to your hard drive, so I doubt it will be long before some of buccaneers have hacked the software and pirate versions hit the web. The increase in the cost almost guarantees it will happen, and what Adobe will achieve is only a temporary delay to the inevitable. If it were my decision I’d probably take a very different approach and reduce the price of Photoshop. I’d offer an amnesty to all those currently using a bootlegged version with a simple cheap offer to go legit. I bet 9 out of 10 copies of Photoshop out there are bogus. Surely that’s a very tempting market. But I guess we all know that will never happen. The Adobe Creative Cloud subscription-only model marks a huge shift in the way we acquire our software, and at the moment it poses a quite contentious change for Adobe customers. I can’t say I particularly welcome these changes; there just doesn’t seem to be enough carrot dangled, but I would like to know how others feel about this. Please feel free to comment below. Now, if you’re broad-minded and want a good laugh, watch this if you dare! I, for one, actually have a legit copy of CS5. I know I am in the minority but, because I got it through Education, I got a good deal. I wonder if Adobe will give concessions in the future? I can’t see that I will want to update any time soon as everything I want to do is on CS5. The problem will come if I want to update my camera and need the Camera Raw download. What Adobe is doing is not good for the ordinary person in the street but, if you are a company, it will be OK because I am sure the expense can be offset by the Tax Man!!! ACR will pose a problem if you update your Camera, but you could always download Abobe’s free DNG converter and import DNG files. Not ideal but it would work. I’m just hoping they keep Lightroom cloud free but can’t help thinking it will eventually suffere the same fate.